Indicate whether a school bus was involved in the crash. Indicates whether a school bus or other motor vehicle functioning as a school bus for school-related purposes is involved in the crash. The school bus, with or without a passenger on board, must be directly involved as a contact motor vehicle or indirectly involved as a non-contact motor vehicle (including when children are struck when boarding or alighting from the school bus, two vehicles collide as the result of the stopped school bus, etc.). This element is important for determining where and how school children are at greatest risk for injury when being transported by a school bus and the extent to which school bus operations affect overall traffic safety. 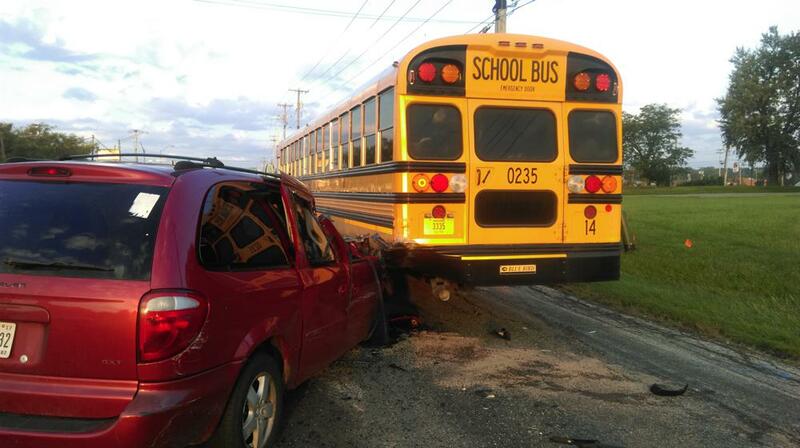 1 Yes Indicates that a school bus, or motor vehicle functioning as a school bus, is involved in the crash. 2 No This attribute is used when there is no indication of a school bus, or motor vehicle functioning as a school bus, being involved in the crash. If a school bus contributed to a crash between other vehicles, but wasn’t directly involved, should the bus be indicated? No. For this field to be applicable, the bus would have to be one of the listed vehicles. If any vehicle involved has a Bus Use code of ‘school’, then the value recorded for School Bus Related should be ‘yes’.